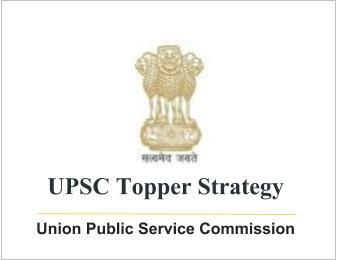 UPSC Topper Strategy for Electrical Engineering Optional by Prakash Rajpurohit (Rank-2) | IAS EXAM PORTAL - India's Largest Community for UPSC Exam Aspirants. Circuit Theory: This topic requires continuous practice. One should solve as many numericals as you can from A. Chakrabarti. Even though I couldn’t do it due to paucity of time but solving IES papers may help. Signals and systems: In this topic, one must remember the formulas by making a formula sheet. As Prakash Sir has mentioned, for DFT/FFT, refer to Oppenheim’s book on DSP. E.M. Theory: Read chapter 6(till 6.29), 7 and 8 from K.D. Prasad. Practice some numerical examples. Sometimes the book solves them in a long way, but you must do them in the shortest way possible. For Smith chart and impedance matching refer Jordan & Balmain. Make the list of formulas and practice all the derivations. Analog Electronics: Diode, Transistors and Amplifiers can be done from any book. Topics that are to be covered from JB Gupta are: Oscillators, Op Amp, Wave shaping circuits, Multivibrators, Waveform Generators and Power supplies. You will have to practice numerical from IES papers since JB Gupta doesn’t have many numerical. Also, in this chapter practice derivations well and make sure you do not do mistakes in symbols. Digital Electronics: I referred to R.P. Jain for this topic. It is a very good book that covers all the concepts and also provides sufficient numerical practice. Please stick to the syllabus while reading this book. Energy Conversion: Try to cover everything given in the syllabus from Ashfaq Hussain and make good command over all the numerical given in the book. It covers topic from IES point of view. Do all the questions asked in the IES exams thoroughly. Power Electronics and Electric Drives: Topics to be covered are Chapter 2(characteristics of diode, BJT, MOSFET, IGBT), chapter 4-Thyrister(complete), chapter 5 – Thyrister commutation techniques (complete), chapter 6 –Phase controlled rectifiers(Leave dual converters), chapter 7- Choppers(Leave Thyrister Chopper circuits and multiphase choppers) , chapter 8 –Inverters(Leave force-commutated thyrister inverters, current source and series inverters) and chapter 12-electric drives(complete). Cover all the derivations (like deriving expressions for particular type of rectifier or inverter) as well as working of circuits. Note that this book can be difficult to read at first due to extensive coverage of topics. But you must nevertheless go through it. At first, focus on the concepts. You may leave the numericals at the back of the Chapters since there are sufficient solved examples in the book. Do not just read the examples, solve them yourself. Analog Communication: Cover chapter 4(AM) and Chapter 5(on FM and PM) from BP Lathi. Random process(chapter 1) can be covered from Haykin. And Noise(chapter 4) can be covered from Singh and Sapre. Also cover AM AND FM practical modulation and demodulation circuits from Singh and Sapre. Control Systems: Nagrath and Gopal is sufficient for all the topics. Practice from previous year IES and CSE papers. Please stick to the syllabus. There is no need to read the entire book. Microprocessors and Microcomputers: Cover chapters 1 to7 and 9, and parts of chapter 8 and 10(from which questions has been asked in IES exams), In peripherals cover 12, 14, 15, 16 (Focus more on whatever has been asked in IES papers). Measurement and Instrumentation: Cover all the instruments given in the syllabus thoroughly from the Sawhney. Here also guide will be IES questions. In this book, you may skip the numericals at the end of the Chapter if you have less time because it has sufficient solved examples. Focus on derivations of different formulae. Also note the drawbacks of each measuring instrument. For oscilloscope, please do not forget to practice making schematic diagrams. Power Systems: I did this topic from Ashfaq Hussain. It covers the entire syllabus. You may have to read a bit more on the last Chapter. Solve all examples and questions at the back of the Chapters. Do not forget to practice the flowcharts of optimization schemes for load distribution. Power System Protection: Chapters of Protective relays and circuit breakers (from Wadhwa) cover large part of the syllabus in much better way. For microprocessor based relays refer to TMH book. You may also refer to the TMH book for other parts of the syllabus too in addition to Wadhwa. Do solve the questions at the end of the Chapters. Digital Communication: For PCM, DPCM, DM refer to chapter 6 of Lathi. ASK, PSK and FSK are covered much better in Haykin. Information theory and codes can be covered from either of them. Chapter 1 and 2 of Forouzan are to be covered for data networks and 7 layered architecture.